G8 Smog was established in 2006, our certified technicians have been in the automotive industry for many years and are very knowledgable in what they do. We pride ourselves not only to the services we provide, but also in customer dedication and satisfaction because they are essential to the overall goal of G8 Smog. If you want efficient, reliable, and friendly service, do not hesitate to stop by. 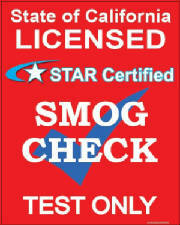 G8 Smog is conveniently located by downtown San Bruno across from Melody Toyota. We hope the information provided was helpful, if you have additional questions, please feel free to call our office. We look forward to working with you soon. Thank you.